Introduced in 2003, this multifunction chronograph boasts a sophisticated automatic movement housed in an elegant, rounded stainless steel case. The hours are indicated by big, patented Arabic numerals and leaf hands in tarnished steel. Another hand points to the date around the edge of the dial. The brand emblem, in solid gold at 3 o’clock, similarly decorates the centre of the dial. 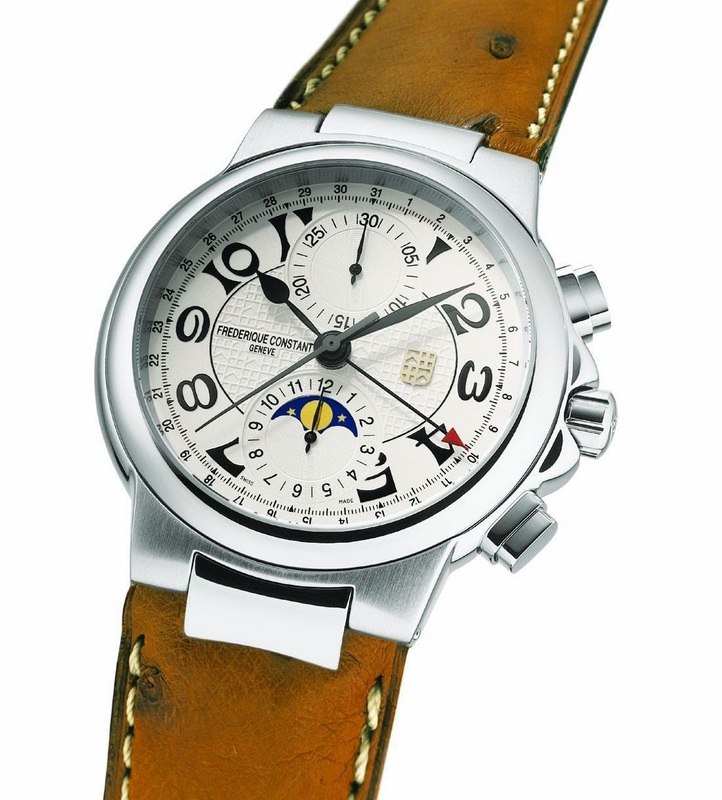 The automatic, FC-395 movement offers a power reserve of 42 hours.